Norma Margarita (Norge) is a founding partner at C&G Law handling principally corporate/commercial and competition law matters. Norge started her legal career at SyCip Salazar Hernandez & Gatmaitan. She was an underbar associate there from December 1998 to April 1999; a junior associate from April 1999 to February 2004; and a senior associate from February 2004 until C&G Law was formed in February 2007. Her work in the PNOC-Energy Development Corporation initial public offering earned her a citation in the Chambers & Partners Asia-Pacific 2008 publication as an up-and-coming commercial and corporate lawyer. She was also cited in its 2009 edition. Norge advises on share and property acquisitions and foreign and local investments, including joint ventures. She also conducts due diligence and other activities in connection with such acquisitions and investments. Norge also advises on competition law concerns and assists clients with filings and appearances before the Philippine Competition Commission (PCC), the principal competition law authority in the country. Her efforts have led to C&G Law’s practice being recommended in 2016 by Asialaw for Competition & Antitrust. Norge is also experienced various capital market, contract-based, competition law, land acquisition, mining and natural resources, anti-bribery and corruption, and regulatory issues. She handles the incorporation of companies and other investment vehicles and also serves as director and corporate secretary of several corporations. Since 2011, advising a Philippine affiliate of a global leader in building materials in competition law, anti-bribery and corruption matters, and various corporate matters. Norge has conducted training sessions for its employees on those matters. Norge also led the C&G team that in 2012, 2015, and 2016 conducted an audit/review of the company’s compliance with Philippine competition law and international best practices as regards to competition law. Advised leading Swedish conglomerate Altor and its Scandinavian counsel Mannheimer Swartling on a merger filing with the Philippine Competition Commission (PCC). Clearance for the transaction was obtained. Confirmed with the PCC the non-coverage, from the PCC’s mandatory filing requirements, of a merger of related entities. Assists a client in an ongoing PCC investigation. Acted for Cargill Philippines in its investment/joint venture with Jollibee Foods Corporation relating to a poultry production and related facilities. Currently serves as corporate secretary of the joint venture companies. Acts for a Philippine investor in its acquisition of shares/further investment, and joint venture with a Singapore renewable energy company, in a solar energy company based in central Luzon. Advised a Japanese company, and conducted due diligence for it, in its acquisition of a Philippine food distribution company. Advised a leading building materials multinational on Philippine competition law in relation to its global merger with another building materials company. Advised Baiyin International Investment Ltd (BII) in its US$20 million loan to Ipilan Nickel Corporation (INC). BII is a subsidiary of a Chinese state-owned company, Baiyin Nonferrous Group Co. Ltd, and INC is an affiliate of the publicly-listed company Global Ferronickel Holdings, Inc. Worked on the Light Rail Transit Line 2 Operation and Maintenance Project and Davao Sasa Port Modernization Project, both of which are Public-Private Partnership projects, as counsel to the Government grantors’ transaction advisors. Represented the Project Quest group in their acquisition of EIB Savings Bank, Inc. (now named Sun Savings Bank, Inc.) and acted as the bank’s corporate secretary. Led the C&G Law due diligence team for, the proposed acquisition of the Philippines’ largest food conglomerate. Advises a Norwegian international subsea operating company in its Philippine investments relating to its agreement with a leading oil and gas company. On the litigation side, Norge has handled and tried a broad range of cases involving anti-graft and corrupt practices and plunder criminal charges, agrarian reform, contract disputes, corporate restructuring and rehabilitation, debt recovery, infrastructure and engineering disputes, intra-corporate controversies, local-government imposed taxes, mining and real property claims, product liability, public utilities and tort. She also has experience in international and domestic arbitration dealing with intra-corporate, commercial and construction disputes, including those conducted under the auspices of the International Chamber of Commerce, the UNCITRAL, and the Construction Industry Arbitration Commission. Regularly assisting a leading Japanese-owned independent power producer in proceedings before the Philippines’ Energy Regulatory Commission and other bodies and on various contractual and regulatory issues. Acts for hydro-power companies in proceedings before the Supreme Court, where various cause-oriented groups and lawmakers have challenged the validity of certain laws and regulations relating to (a) the automatic adjustment mechanism for collecting electricity generation charges, (b) offering generation capacity to the electricity spot market, (c) the gross pool concept adopted by the electricity spot market, (d) the characterization of generation companies as non-public utilities, (e) cross-ownership restrictions in the power sector, and (f) alleged anti-competitive behavior. Since 2008, has been advising the Philippine subsidiary of an Australian mining company on various regulatory, right-of-way, and litigation concerns relating to is mining contract with the Philippine Government. 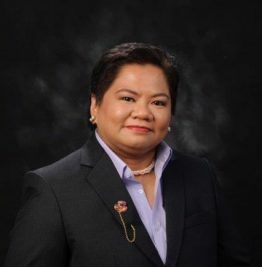 Norge was an instructor at the College of Law of the University of the Philippines where she taught Sales and Transportation Law. Currently a director at the company behind Zalora Philippines. Currently a director and the Corporate Secretary of two Philippine affiliates of Stellar, a leading Australian contact center solutions provider. Currently a director of three Philippine affiliates of the Menarini group, a leading Italian pharmaceutical company. Currently the acting Corporate Secretary of a Philippine affiliate of Sanofi, a leading French pharmaceutical company. Was the Corporate Secretary from 2010 to 2012 of Sun Savings Bank, a Philippine savings bank. Currently the Corporate Secretary of three other Philippine corporations. Currently the Resident Agent of the Philippine Branch office of DOF Subsea Asia Pacific Pte. Ltd. Currently the Resident Agent of the Philippine branch office of Solarwinds Software Asia Pte. Ltd., a Singapore-based information technology/software company. “Philippines: Overview” for the Asia-Pacific Antitrust Review (published by Global Competition Review); 2014, 2015, and 2016 editions. “Philippines: Capital Restructuring” for the International Financial Law Review (December 2012). Speaker on Philippine competition law for the panel on “ASEAN roundtable on theme of cooperation”, Global Competition Review (GCR) Live 3rd Annual Law Leaders Asia-Pacific (March 2014, Singapore).